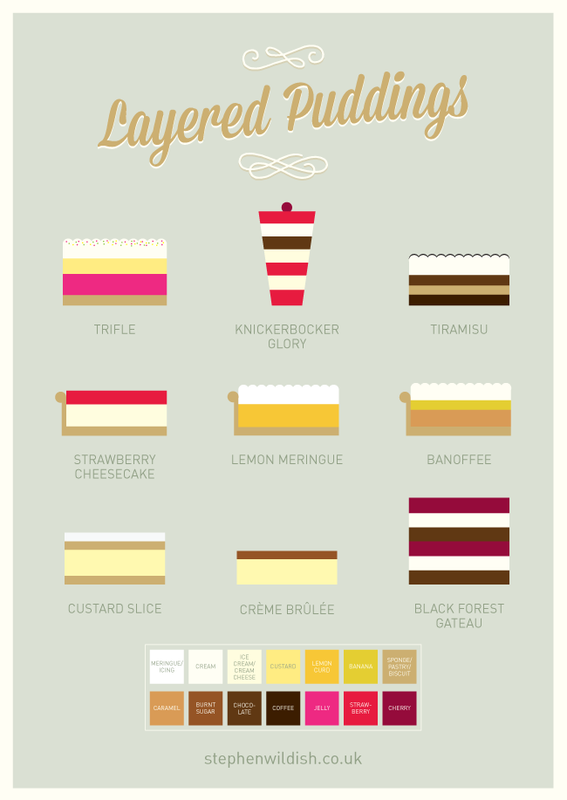 This beautifully designed infographic from Stephen Wildish sets out all the different stages needed to create a range of layered puddings. From the classic Knickerbocker Glory to the Italian Tiramisu and the classic Banoffee or Creme Brulee - this is an infographic with layers. Using the simple color key at the bottom of the chart users can easily see what each color layer represents in the desserts. It's a simple way to look at layered cakes but one that seems effective in easily defining the many stages that go into producing certain desserts.